Professional refrigerator repair services - HIGHLY RATED! 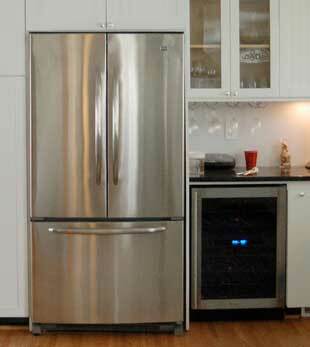 Our company performs professional refrigerator repair services. When your refrigerator brakes, it becomes a real household emergency. Your food will go bad. You will not be able to store any more food in the future. Also, your electrical bills may increase. 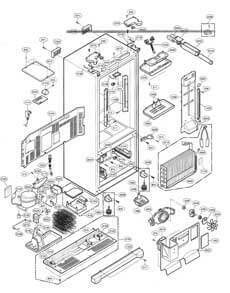 You will need a trusted refrigerator repair technician to come in and fix your refrigerator. Time is of the essence in such a situation. Top Home Appliance Repair is a company that can help you. Our technicians are highly trained, licensed, vetted and guaranteed to fix your refrigerator. We make same day appointments and can be at your house in few hours. Customer service is essential to us. We try to make refrigerator repair in East Bay experience as fast and as easy as possible. 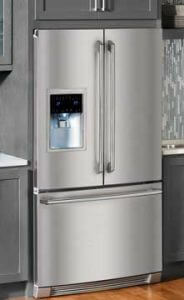 We are experts in repairing all types of refrigerators including European and high-end brands. For example, we know well Samsung, LG, KitchenAid, Whirlpool, Frigidaire, Frigidaire Gallery, Maytag and many more. Rest assured that after a refrigerator repair in Oakland appointment with us, your refrigerator will work great. Top Home Appliance Repair is a company a lot of experience in kitchen appliance repair. We are a local, family owned and family managed the business. Our service area includes East Bay, Marin County, Oakland, and Novato as well as surrounding areas. We do residential appliance repair as well as commercial appliance repair in your area. We can do commercial kitchen repair for any restaurant, cafeteria or careering business. We do washer repair, dryer repair, dishwasher repair, stove and range repair, oven repair, steam oven repair, microwave repair, freezer repair, ice maker repair, barbecue repair, pizza oven repair, patio heater repair and many other services. Over the years we have acquired excellent skills and knowledge in the field of home appliance repair. We are ready to apply those towards repairing your household appliance. Our repair technicians are factory trained and certified to fix Asko, Bertazonni, Bosch, Dacor, DCS, Electrolux, Fisher&Paykel, Frigidaire, GE, Jenn-Air, KitchenAid, La Cornue, LG, Liebherr, Marvel, Miele, Perlick, Samsung, Siemens, Sub-Zero, Thermador, Traulsen, True, Viking, Whirlpool, Wolf and many other brands. We also have amazing customer service is a big part of our companies policy. People who work for us try always to be polite, helpful and punctual. Our refrigerator repair technician will figure out the problem and find the easiest way to fix it. Often this will require getting new parts. In fact, we usually bring all the parts necessary in our trucks. We try to do all the work in just one appointment. Finally, the work is done. Our technician will check all the connections and will move your appliances back into place. He will clean up the workspace to live the space nice and tidy for you. Your refrigerator will be working properly once again. We know how to keep our customers happy with excellent results! Why pick us to do refrigerator repair in Oakland and refrigerator repair in East Bay for you? To summarize, we have many years of experience doing refrigerator repair in Oakland as well as refrigerator repair in East Bay. Also, our technicians are the best in the field. 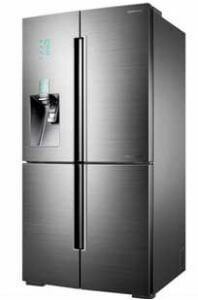 They have factory certification for all the major brands of refrigerators. Also, they are friendly, helpful and care a lot about great customer service. The appointment will be convenient and fast. We guarantee to fix your refrigerator no matter what brand or model you have. Our specialists can handle any technical problem. They have the right tools and knowledge to do it. Our prices are very reasonable, and we will work with you to save you money. I was able to get an appointment within 24 hours of calling. The owner of the Top Home Appliance Repair was prompt and even called the night before to confirm, and that morning to let me know that his repair man was on his way. I felt like I could trust this company. I appreciate the fact that he told me to hold off on ordering a part for my fridge that I may not need. The repair man who came that day was fast and diligent. He quickly figured out what was wrong with my Frigidare fridge started working. Within an hour my refrigerator was back in business. The quote they gave me was accurate and fair. If I need repair work again for my fridge, stove or dish washer, I’ll definitely call them. We do professional home appliance repair services. We specialize in refrigerator repair, installation, and maintenance. Our technicians are trained and certified to fix any model or brand of refrigerator.